The other day I was at my uncle’s place. On the table laid a cooking book- The Samsung Book of Microwave Cooking by Rohini Singh. I was just browsing through the book were this recipe in salad section caught my eyes. I found it interesting and had to try it soon, salads being my favourite. After making it, it surprised me as it not only added flavours to my regular salad but it is very simple to make which took less than 15 minutes. 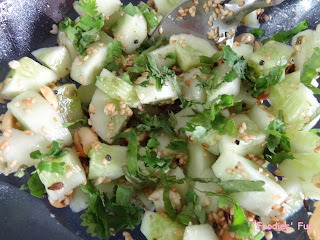 Bored of eating regular green salad, try this recipe for sure. Such an interesting blend of flavours !!! Peel the skin of cucumber. 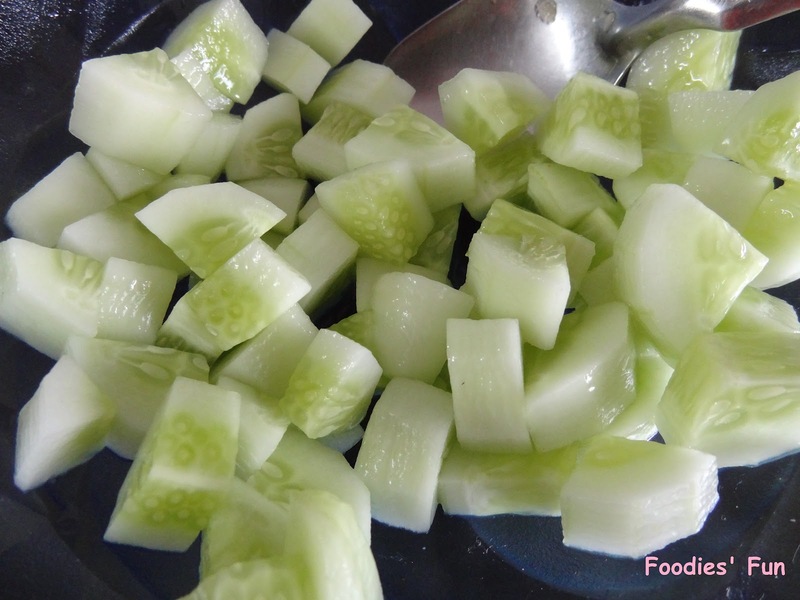 Cut cucumber into cubes. Add lemon juice to it and set aside the bowl. Take a small pan and roast peanuts till they turn little brown. 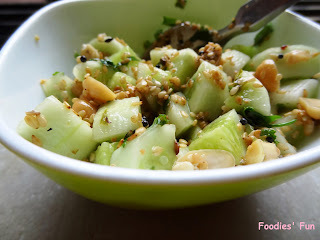 Put roasted peanuts in cucumber bowl. 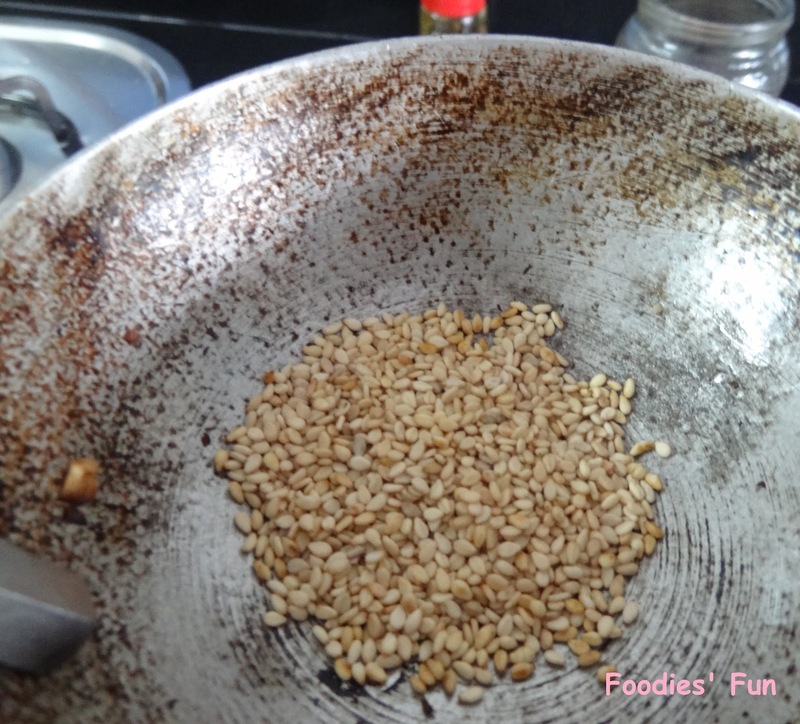 In the same pan, roast sesame seeds till they turn light brown. Be careful as the seeds will pop outside. 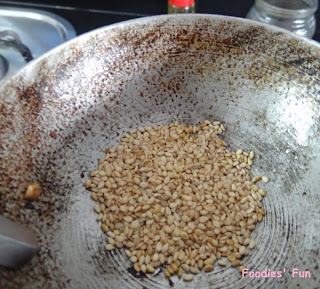 Add this sesame seeds the bowl. Now out little oil in the same pan. Heat it and sauté mustard seeds. Let them pop properly and add hing and chopped chillies to it. Take it off the stove and add to the bowl. Put salt to the mixture and mix them all well. 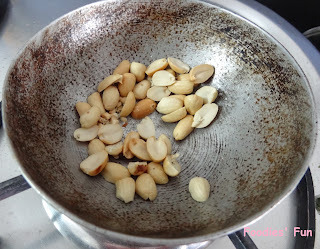 Roasting peanuts and sesame seeds wil take about 2 minutes each. And tempering will also take about 2 minutes. 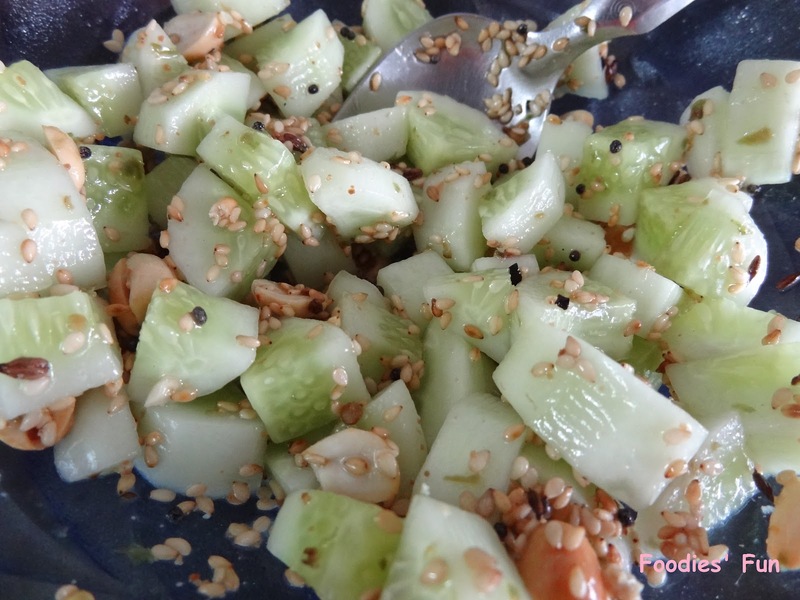 In about 10 minutes, the cucumber salad is ready to be served.